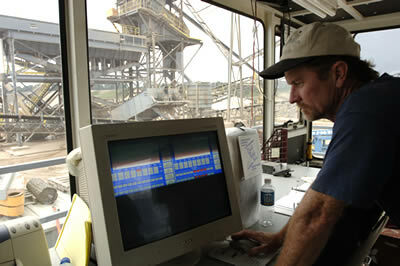 All sorting and classification of the sand and gravel is performed at the permanently-located Operations Center in the middle of the property. 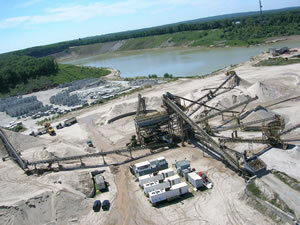 This activity involves movement of raw material up conveyors and through a series of screens which classifies the sand and gravel based on particle size. The screened and classified material is then stockpiled at this central location. Also at this location, vehicles are loaded with sand and gravel for transportation off site, typically in tractor trailers. These activities will remain at this central operations center until the final phase of the project, when a small portable facility will finish operations.